Date : Wolfenbüttel, ca. 1661. Description :Map of America with California as an island. Interesting map from a German edition of Philipp Clüver's famous Introductionis in Universam geographicam, first published in Leiden in 1624. Philipp Clüver (1580–1623) was virtually the founder of historical geography. 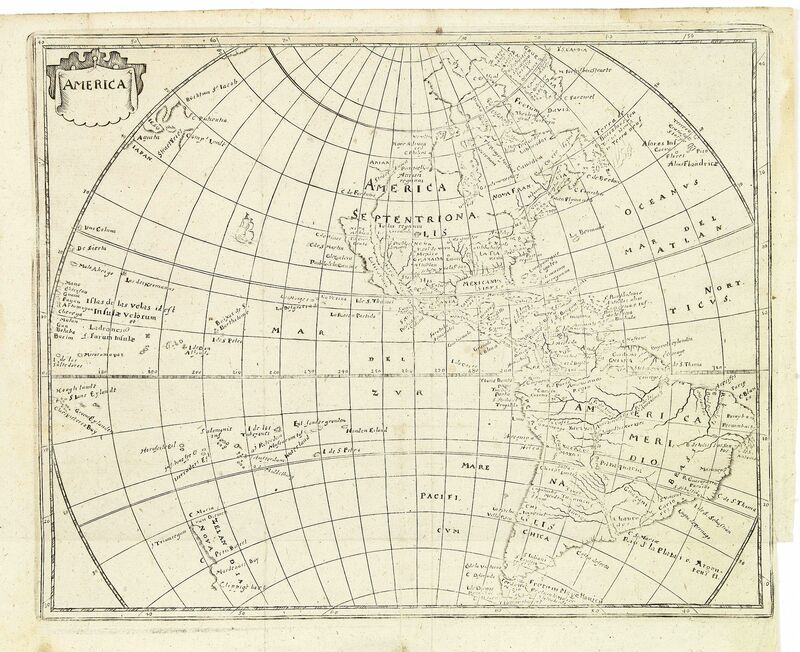 The map appears to be derived from the Nicolas Visscher, ca. 1658, with the similar combination of the Bleau type Great Lakes region and a Briggs California as an island.